I work with folks from different time zones, and it’s hard to get all the times straight and make the proper adjustment in my head. 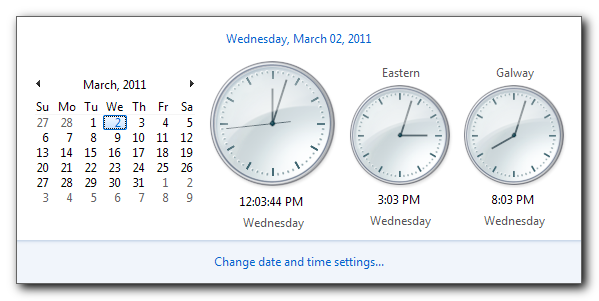 In Windows 7 you can see the time in two other timezones when you click on the current time in the taskbar. 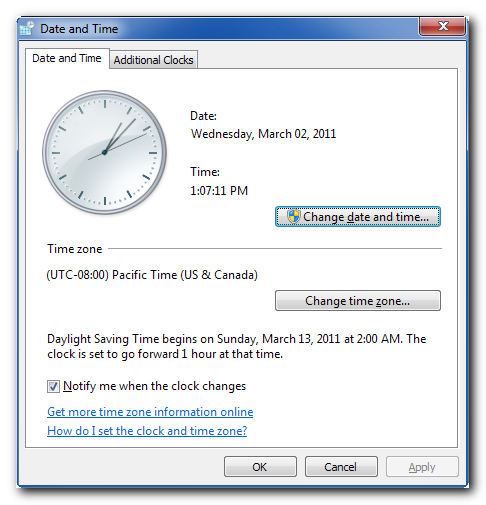 It also displays the calendar, which is useful in and of itself. Here’s how to add the two extra clocks. How Secure Are Password Managers?